Thor: Ragnarok is the third entry in the MCU that features our title character in the forefront. The film will feature Chris Hemsworth’s Thor against Mark Ruffalo’s Incredible Hulk as the two fight in a gladiatorial battle on the planet Sakaar while also dealing with the main villain; Hela (Cate Blanchett). Thor: Ragnarok is directed by Taika Waititi who will also be playing his own version of a character in the movie named Korg. The film is only a few months away but the anticipation continues to grow. Fans have been wondering what Thor and Hulk have been up to since their absence from #CaptainAmericaCivilWar. 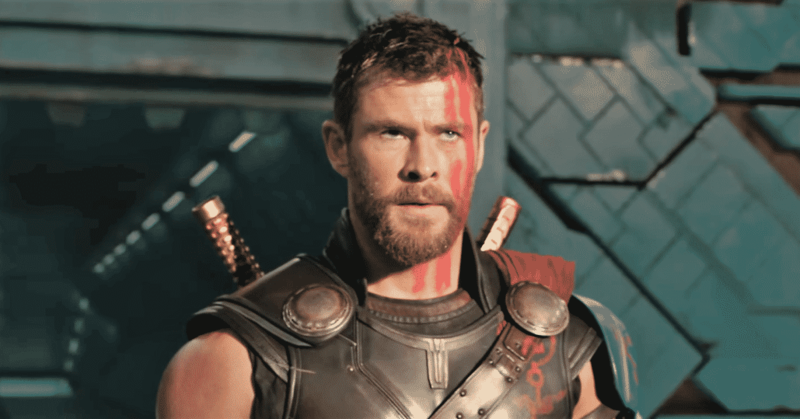 #ThorRaganarok will look to answer those questions as yet another fun and engaging trailer has hit the internet. Only this time, it wasn’t from Marvel studios but rather from Nerdist’s YouTube channel. Nerdist also makes sure to throw in plenty of 80s special effects while replacing some of the updated CGI we now expect from films today. One prime example is the flames seen burning through Asgard as the trailer depicts a budget straight from that era. We also get to see the great Lou Ferrigno portraying Ruffalo’s Incredible Hulk. Nerdist was even smart enough to include a Hulk and Thor fight sequence from the 1980s television movie The Incredible Hulk Returns. Another aspect worth noting about this trailer is the introduction to all of the characters particularly Jeff Goldblum’s Grandmaster. The trailer shows Goldblum in his prime as they borrow clips from older movies that the actor had starred in such as David Cronenberg’s The Fly. We also hear the famous Wilhelm scream once along with 80s explosion sound effects. This is exactly the kind of creativity we need from fans around the world. To see the passion put into this project makes for a fantastic trailer. The results are simply astounding and I hope to see more of these types of trailers from Nerdist. Thor: Ragnarok was the perfect film to turn into a retro trailer. The vibrant colors, costumes, and even set pieces have clearly been inspired by Jack Kirby. Even the director has made it known that he drew a lot of inspiration from Kirby. I don’t know about you, but I cannot wait to get myself a future VHS copy of Thor Ragnarok a few months after it hits theaters on November 3rd. What did you think of this 1980s inspired trailer? Shout out your thoughts in the comment section below!